Have urgent expenses that can’t wait? Sometimes life’s little expenses work out to be much more than we budgeted for. Coming up with the cash to pay these costs can be difficult. If you live in Whangarei, Cashburst could help you by providing quick and easy cash loans. Personal cash loans are designed to help cover common expenses such as urgent home repairs, school fees or medical bills. Whatever your cash needs, we could help you out with a cash loan today. If you live in Whangarei and need urgent cash, Cashburst could provide you with the cash you need in no time. Our loan process is quick and easy because it is 100% online. Simply fill out our quick online application then send your required documents via email or fax. We will process your loan quickly and if approved your cash loan will be deposited into your bank account overnight. Why choose Cashburst for a cash loan? We are one of the most reputable and trusted lenders in Whangarei. We firmly believe in responsible lending and ensure the affordability of each and every loan we approve. Our loans are flexible to suit the individual needs of our customers. If you would like to repay your loan quicker you will not be charged any early repayment fees. Our loans are also flexible for those with bad credit history. Many lenders do not lend to those with bad credit and you may waste a lot of your time applying for loans only to get declined. If you live in Whangarei and need a bad credit loan, we may be able to help because take in to account your current ability to repay the loan. Do you meet our cash loan eligibility criteria? We have made getting a loan in Whangarei quick and easy with our simple eligibility criteria. 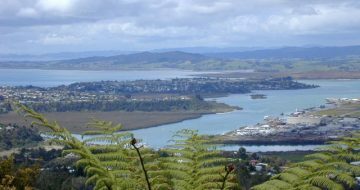 It’s easy to get a Cashburst cash loan from anywhere in New Zealand, including Whangarei. Whether you live in; Kamo, Springs Flat, Tikipunga, Three Mile Bush, Otangarei, Mairtown, Regent, Kensington, Whau Valley, Morningside, Raumanga, Maunu, Horahora, Woodhill, the Avenues, Riverside, Sherwood Rise, Onerahi, Parihaka or any other suburb in Whangarei.